If you’re both a grill guru and a fan of spicy food, chances are you’ve had jalapeño poppers before. These tasty little fireballs started out in the deep fryer but quickly migrated to the grill and became a barbecue favorite. Poppers come in many different flavors with fillings like cream cheese, bacon, or sausage but we felt jalapeño poppers could still use a few more tasty variations. Serving up poppers for a crowd can take a bit of work without the right tools, which brings me to my next point. Before you can stuff the jalapeños, you need to remove the stem end and the seeds. To make this step easy we created a coring knife capable of performing both of these tasks. 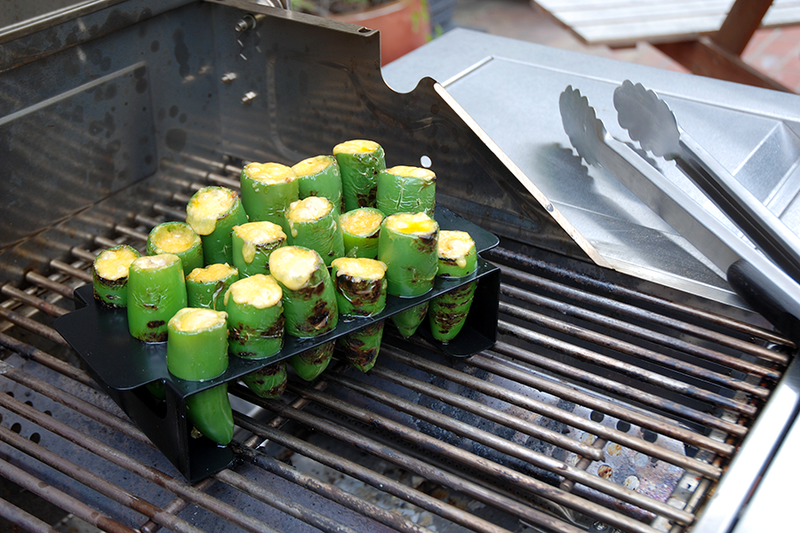 You’ll also need a rack to hold the peppers while they cook, so we decided to pair the knife with the rack for the Ultimate Jalapeño Popper Kit. Handling jalapeños can be spicy work, so it’s a good idea to use a pair of gloves to keep the oils off of your skin! Once you have the proper tools, making poppers is a fairly easy process. 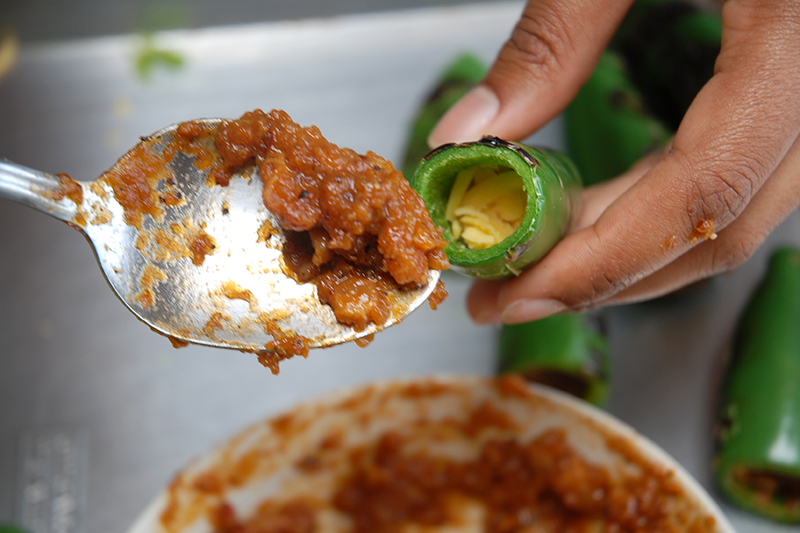 Simply remove the top of the pepper, scoop out the seeds and membrane, then fill them with your favorite ingredients. 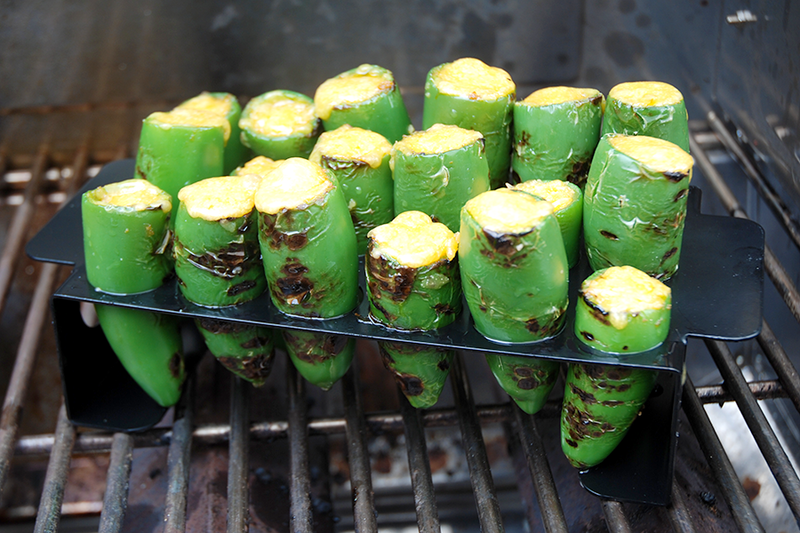 Try out this recipe the next time you decide to put jalapeño poppers on the menu! Combine sugar, vinegar, mustard, Worcestershire, ketchup, and water in a small bowl and mix well. Slice onion into ¼” thick strips. Render bacon until crispy, remove from pan and reserve 3 Tbsp. bacon fat. Add onions to bacon fat and cook over medium-low flame until caramelized (20-30 minutes). Add bacon, onions, and sauce mixture to a food processor and pulse until well mixed. Bacon should still be slightly chunky. Remove tops of peppers with coring knife and scoop out seeds/membrane. Sear the peppers over high heat for 30 seconds each to partially cook them. Fill each pepper with alternating layers of cheese and jam. Grill over medium-low flame for 5 to 7 minutes until peppers are cooked through and cheese has melted. Remove tops of peppers with coring knife and scoop out seeds/membrane. In a medium-sized pan, sauté onions 2-3 minutes until translucent. Add oregano and chorizo and cook for 5 to 7 minutes until rendered. Sear the peppers over high heat for 30 seconds each to partially cook them. Fill each pepper with alternating layers of cheese and chorizo. Grill over medium-low flame for 5 to 7 minutes until peppers are cooked through and cheese has melted.